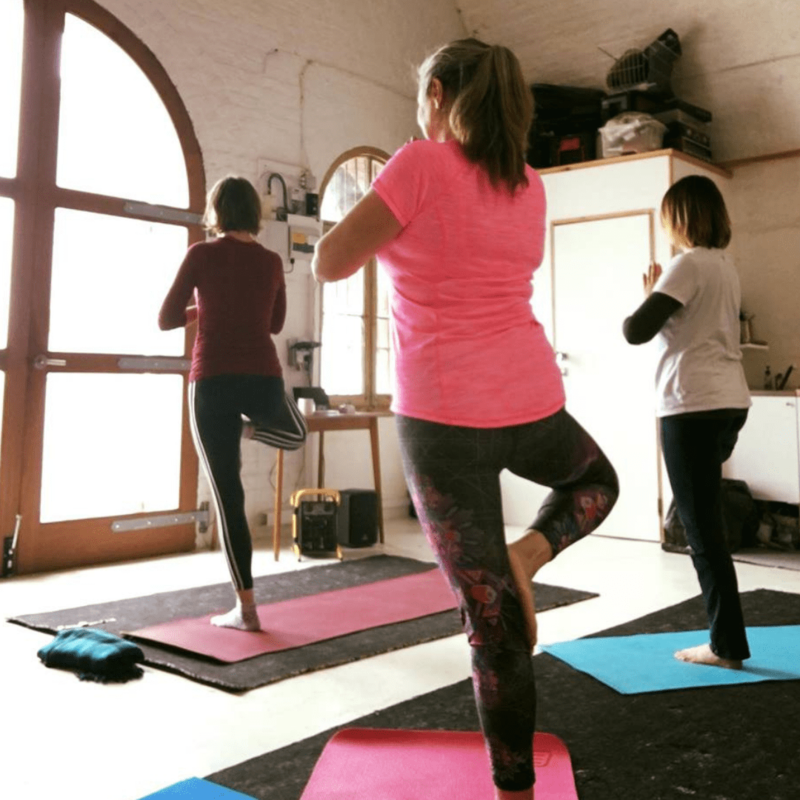 CURRENT 6 week yoga classes term will end Saturday 13th April and we will have Easter Break for one week. 6 week Stress Resilience Course – Coming back to whole self through body. I currently teach only 3 weekly classes in Ramsgate as listed below. There are very limited number of places available in those classes so please be aware that your place is not reserved until you confirm with payment. You do not need Paypal account as you can choose to pay with Debit Card. Classes need to be paid for a whole term in advance OR as drop-in price for individual classes (subject to available spaces – please contact me to check). You will need to sign up for a specified class – same each week. No refunds are given on the payment but you can attend another class if you cannot attend your chosen class if there is space available. .This 6 week course will take you on a journey to understand how stress, overwhelm and anxiety is created in a body and mind, how it shows in your own body and how to recognise your own early warning signs. It will teach you simple and effective practices to shift into a more useful way of being when faced with stress. It will help you understand and use the power of mind-body connection to create calm mind, inner self-trust and confidence, and a sense of ease and flow in your body. It will guide you towards your own inner guidance system to learn to listen deeply and respond with compassion and kindness to your own needs, and allowing you to practice guilt-free self-care. Small group of up to 6 people only. Bringing together gentle yoga and somatic movement, mindfulness and compassionate practices, embodiment and Focusing practices as well as scientific explanation of stress responses in the body – this course will take to a new level of understanding and empowerment. This is the first time I’m bringing together as a group course two decades of training and practicing various modalities – that I only use with my private clients. Each session will focus on different practices to help you understand and respond to stress. We will use gentle movement and breath as well as discuss each week’s topic. Each week you will receive email with practices to help you integrate them further in your daily life and self-care. Contact me via email: aneta@anetai.co.uk if you’d like to chat more about joining this course. I teach Body Wisdom Yoga with focus of teaching is on embodiment, breath and present moment experience. It’s all about living more in your body, finding more ease and moving without pain, struggle or forcing. It’s about connecting and opening to our vitality and a sense of being fully alive. When we slow down and bring our mindful awareness within our bodies and our practice becomes a joyful exploration and an inner enquiry. We can learn so much about ourselves on the mat – how we show up for ourselves and our habitual ways of doing things. Over a period of time our practice and what we learn spreads into every aspect of our lives off the mat. Over the past 8 years I’ve taught over 4000 hours. Combine that with 25 years of personal practice and countless trainings and courses and being a book worm – I bring together a unique blend of embodied mindful teaching. 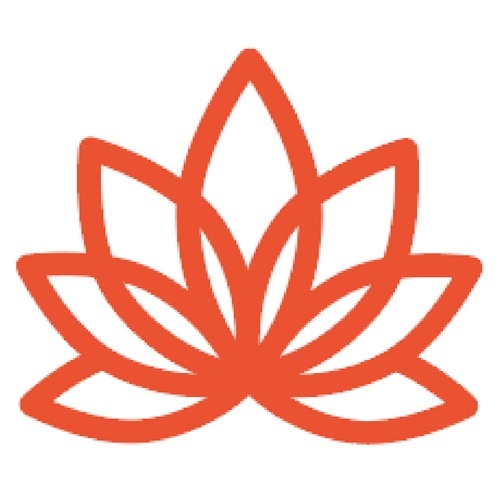 My training and teaching includes embodied mindful yoga and meditation, yin yoga, restorative yoga, gentle somatic movement and functional movement. Each session starts with Embodied Mindfulness Meditation practice while you lie down on your back in Savasana (corpse pose). 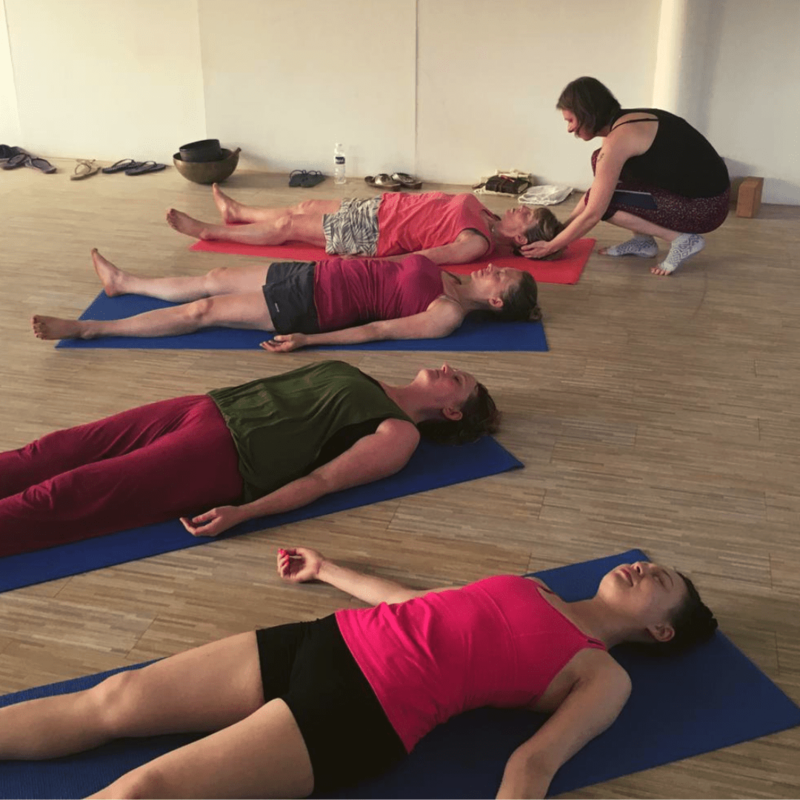 Class consists of slow flowing sequences with mindful and somatic movement with focus on breath, embodiment and present experience; inspired by ‘Real yoga for real people’ principle. Our slow mindful yoga with focus on breath and embodiment helps us to slow down and switch off our stress response. And the same time strengthen your body at slow incremental pace. These practices help us learn how to live an embodied life and thrive with calm and ease, and become more resilient in our busy world. The class ends with restorative poses to bring healing and regeneration. Suitable for complete beginners and advanced practitioners. Each session starts with Embodied Mindfulness Meditation practice while you lie down on your back in Savasana (corpse pose). Yin yoga is a meditative physical asana practice that focuses on stimulating the meridians, which are energetic pathways in the body. All poses are done sitting down or lying down. We will stay in the poses up to 6 minutes, practicing mindful awareness, connecting with breath and softening into the experience. We use the props where needed to support your practice. Suitable for complete beginners and advance practitioners.